Barcelona, Spain. 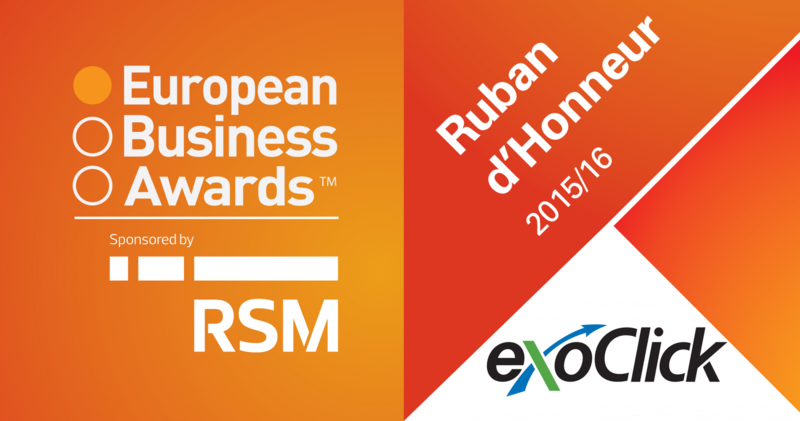 February 9, 2016: ExoClick, the innovative ad network, today announced that it has been awarded a Ruban d’Honneur award for ‘The Business of the Year with a Turnover of €26-150m’ in the 2015/16 European Business Awards. The Ruban d’Honneur is a special award given to European companies that show true innovation, valued ethical standards and excellent financial growth in their field. ExoClick was selected from 678 National Champions by an esteemed panel of judges made up of European business and political leaders, academics and entrepreneurs. The company is one of 110 Ruban d’Honneur recipients chosen from across Europe. A full list of winners can be seen here. Running alongside the independent judging part of the competition is a public vote, which will decide the ‘National Public Champions’ of the awards for each country for which ExoClick has submitted a video. To vote for ExoClick’s video entry click here. The winners of the public vote will be announced on 7th March.